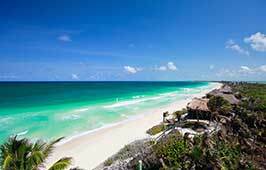 Welcome to Puerto Morelos, a friendly, laidback little municipality nestled on the beautiful Mayan Riviera coastline. 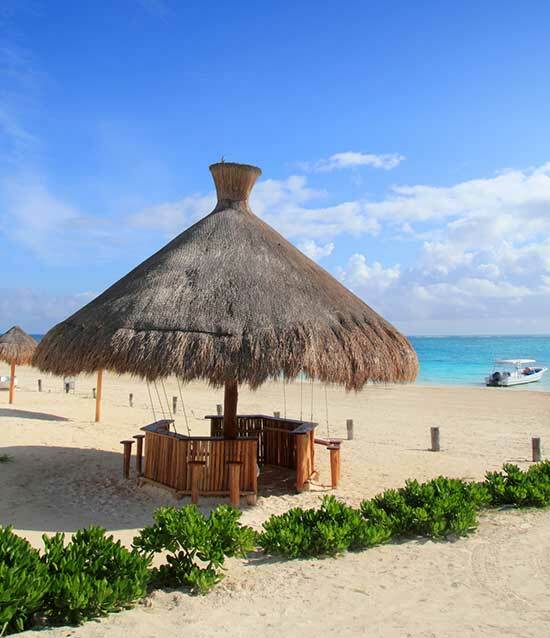 Puerto Morelos offers spectacular scenery at a really accessible location. Conveniently located near the Cancun International Airport, this tranquil town and sea port provides a restful vacation experience away from the hubbub of city life. 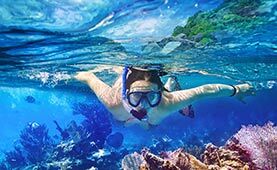 Part of a national park, the protected coral reef is pristine for snorkelling and scuba diving. 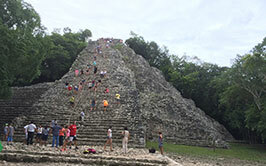 Deep-sea fishing, cenote and jungle tours and other unique activities are also available. The town’s main square often hosts fun local events. It’s bordered by a cathedral on one side and a lighthouse and pier on the other. Here you’ll find lots of options for great dining and shopping; with souvenir shops, convenience stores, dive shops and restaurants lining the square. 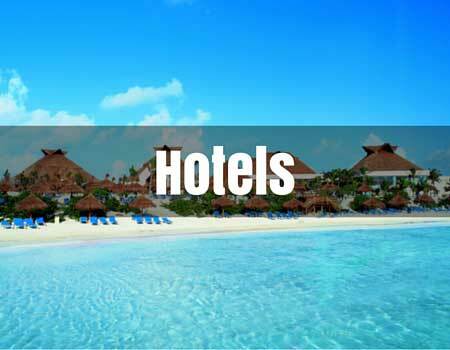 In Puerto, there are accommodation options to suit every budget and style. On the main road you’ll find some cute bed-and-breakfasts and boutique hotels. 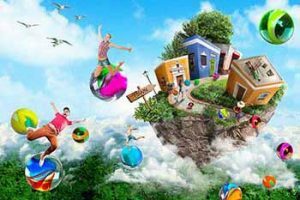 By far, though, the most plentiful option is to book a vacation home or condo. There are so many beautiful properties to choose from! These can rent by the day, week, or month. 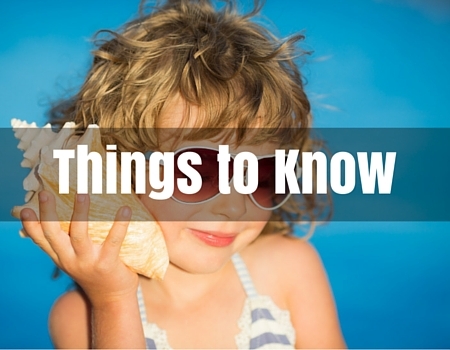 Most are beachfront or very close to the beach, as the seaside area of town is only a few blocks wide. 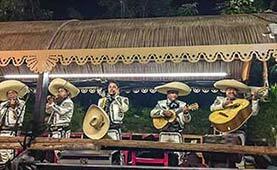 There are also several all-inclusive resorts located on the highway to the north of Puerto Morelos, and a few close to town to the south. From some of them you can stroll the beach right into town. If you love being in or on the water, Puerto is the place to be! The Meso-American reef here is amazingly beautiful and healthy, comparable to the island of Cozumel in abundance of fish and marine life. 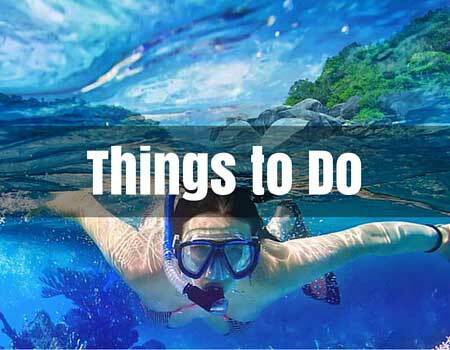 Water activities like snorkelling, SCUBA diving, paddle-boarding and kiteboarding are popular. The water is calm and crystal-clear pretty much year round! There is great deep-sea fishing to be had! Puerto Morelos is a fishing community, after all. 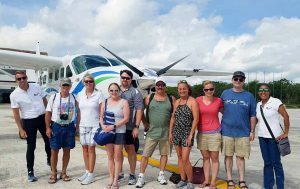 Local guides are ready to take you to the best spots for marlin, mahi-mahi, trigger fish, grouper, snapper and barracuda. 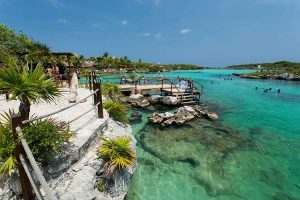 The islands of Isla Mujeres, Isla Contoy and Cozumel are all nearby, as well as several activity parks (Xcaret, Xplor, XelHa, Xoximilco, Xenses). Swim with gentle whale sharks, tour Mayan ruins, or zipline through the jungle for a fun-filled day the family will always remember! 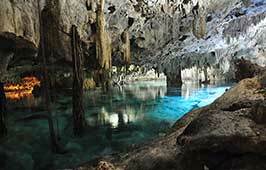 For something unique, check out some of the gorgeous cenotes in the area (freshwater sinkholes with caverns). There is also a botanical garden and an interactive zoo to enjoy. In town there are several souvenir shops with hand-crafted local items like colorful Mayan textiles, Mexican pottery, etc. Cool off after shopping and enjoy the sea breezes at a beach-side bar or restaurant. 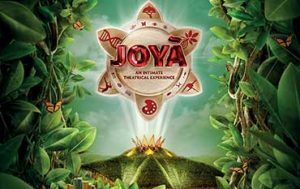 Cirque du Soleil JOYA is a new theatre show in the middle of the Riviera Maya. Tickets include transportation and tablecloth dining is available. Yal Ku Lagoon is a great snorkeling location in Akumal. It is so attractive because it is protected from rough sea-days and is beautiful. 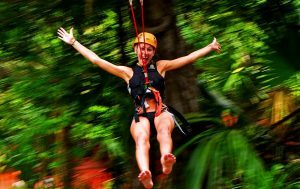 Rental equipment is available at the entrance and makes a great day trip throughout the Riviera Maya. 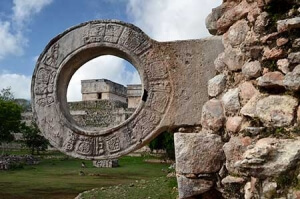 The Uxmal and Kabah Mayan Ruin tour is fully guided taking guests to ancient civilizations. 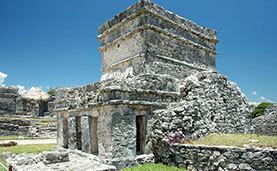 This tour departs from your hotel in Merida and last approximately 7 hours. 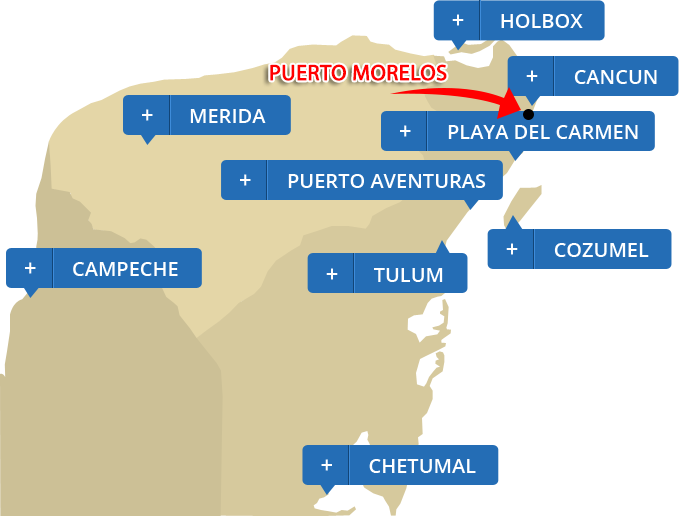 Puerto Morelos is very easy to get to! 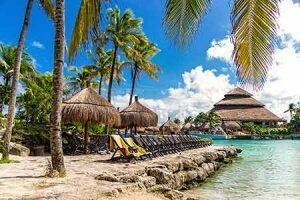 It straddles the Cancun-Tulum Federal Highway 307 and is almost exactly halfway between the cities of Cancun and Playa del Carmen. 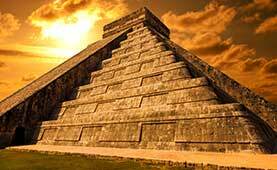 It’s less than 20 minutes south (about 26 km/16 miles), of Cancun International Airport. The town itself is split into two distinct areas: seaside (east of the highway) and colonia (west of the highway). A newly paved two-lane road from the highway connects to the seaside center of town through the protected mangroves, where no development is currently permitted. (Good thing too, since healthy mangroves promote healthy coral reefs.) Local buses and taxis traverse this road constantly; it’s a quick straight-shot drive from the highway to the main square (about 2 kms). If you don’t rent a car or have a hotel shuttle, you can easily take an ADO bus from the airport to Puerto Morelos. You’ll be dropped off at the highway roundabout junction (called a glorieta). From there, you can take a taxi to your accommodations on the seaside section of town. Seafood is of course excellent in Puerto, but there is much more than that to satisfy your appetite. Clustered around the main square are plenty of restaurants, each with varied menus. 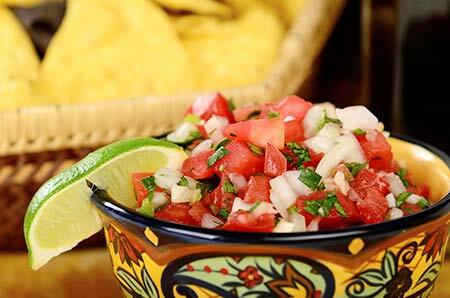 Here you’ll find cuisine ranging from Greek to Thai to Mexican and South American. Most restaurants are small, with friendly English-speaking staff. Several are foreign-owned. At most places in this small town, the atmosphere is laid-back and the quality is superb! Reservations are definitely not required, but recommended if you are a large group dining together. Here the reef is about 300 yards offshore and protects the coast, so the beaches here are generally wide and the waves are gentle. You can wade in for quite a distance, drink-in-hand! All the beaches are public, but some are hard to access. The best entry is from the town square. Spreading north from there, you’ll find wide stretches of white sandy beach, dotted with a couple beach clubs, some vacation homes and restaurants. It all feels very spacious; definitely not condensed or busy, as it is in Cancun or Playa del Carmen. FUN FACT: Your toes won’t get scorched walking these beaches. the sand is actually made of particles of bleached, crushed coral. 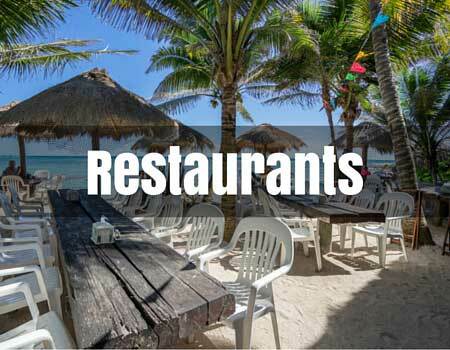 Puerto Morelos is a small town and prides itself on its hospitality and environmental care. Nearly everybody knows everybody, and that promotes a great vibe you won’t find just anywhere. This is not the place to come party! It’s a nice, tranquil tropical getaway; great for families and couples that want to recharge and relax! The weather is warm and sunny year-round, with more precipitation in the fall months. Hurricane Season is between June and November. 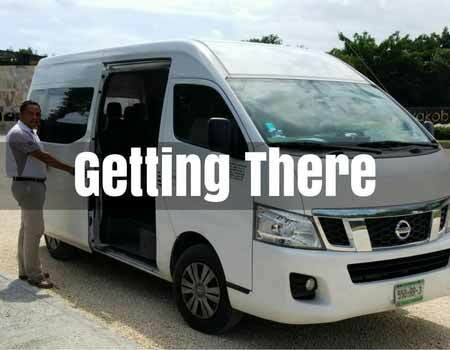 Renting a car when you visit Puerto Morelos may be a good idea, especially if you plan on doing a lot of excursions from town. If you’re looking to power down and really relax, you can walk everywhere on the seaside area of town or easily catch a taxi if you need. There are two main grocery stores in Puerto Morelos; both located on the federal highway. There are also two gas stations–one at the highway junction and one on the mangrove road that takes you to the seaside area of town. On the main square you’ll find several convenience stores as well; stocked with simple grocery items, snacks, ice, alcohol, toiletries, etc. This little town has a rich history! Always valuable as a sea port, Puerto Morelos was once called Punta Corcho (Cork Point). Exports included riches from the jungle and sea–cork, gum, precious timbers, vanilla and tobacco. FUN FACT: Puerto Morelos is actually the oldest natural port in the state of Quintana Roo. The offshore reef provides a barrier and creates an ideal harbor. Long before the port days, though, there was a Mayan settlement here. Unfortunately the ruins are no longer visible, as the stones from the structure were used to build the “leaning lighthouse” (at the pier near the main square). 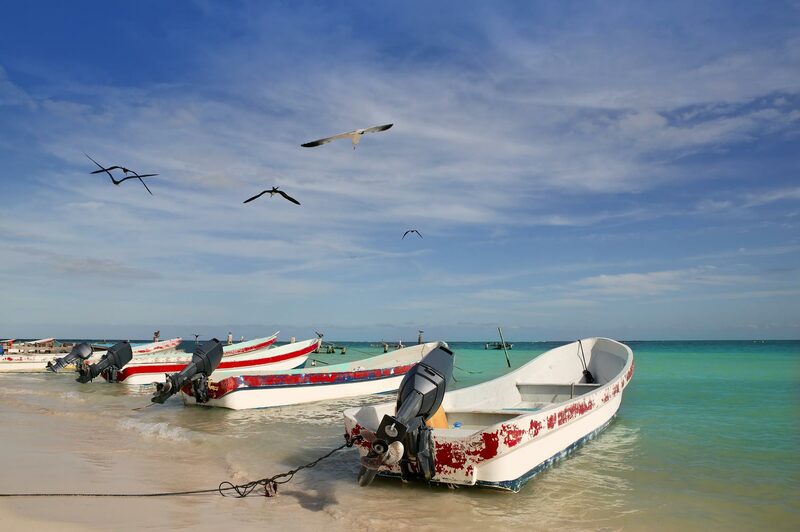 Nowadays, Puerto Morelos owes its livelihood to the fishing and tourism industries. Unlike other vacation destinations in the area, it has retained its quaint, bohemian charm. Strict building codes and bylaws keep lots small and development controlled. 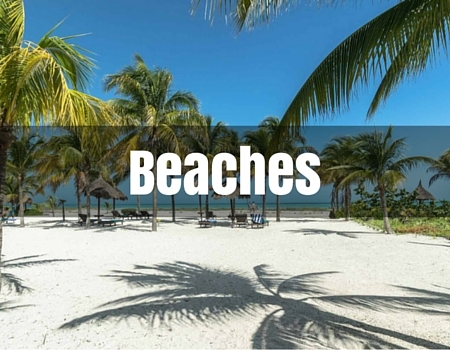 It is known as “the Jewel of the Mexican Caribbean” for good reason! I recently visited Puerto Morelos for the first time and was so pleasantly surprised how small and quaint it is. We walked the long stretch of stunning beach, had lunch at El Merkadito (delicious tuna tostadas & shrimp cocktail) then wandered around the authentic city square. There is a little bookstore Alma Libre that has a large collection of English books, ice cream parlors, coffee shops and friendly locals. The sea was spectacular and you can take 2 hour boat tours to visit the reef located just off the shores. We also visited botanical gardens at the entrance of Puerto Morelos on the south side of the city along the highway. It takes you through jungle paths and over a suspension bridge to a lookout tower. We saw various local wildlife including a couple of spider monkeys! Fun day had by all!